Carpets act like a filter, pulling airborne pollutants out of the air and trapping them until they are removed through vacuuming or professional carpet cleaning. However, they aren’t really ‘one size fits all’ as they vary to give you more of what you need. Here are the different types of carpets to look through and find out which one suits your home (and your cleaning habits) most. This is a style of carpet where the fibers are bent into little loops and the yarn tips are not cut, making them visible. It is very durable and stain-resistant. However, it offers limited cushioning and has a low profile. Under this style, you can pick between Level Loop or Berber, and Multi-Level Loop. Level Loop features a packed short looped fiber while Multi-Level Loop features loops of varying heights to create a texture or pattern. Depending on the fiber used, density of the tufts and the twist of the yarn, this carpet has varying durability. The yarn tips are also cut so there aren’t any loops. They tend to be denser and softer than loop pile. You can choose between 5 styles, namely: Plush, Textured, Saxony, Frieze, and Cable. Plush style has a smooth and even finish that provides a more formal look. Textured style uses low-density fibers of uneven heights and results to hiding dirt with an informal look. Saxony is the most popular style of carpet. It has a smooth and even finish but the fibers are longer and twisted. However, they also tend to show footprints. Frieze style features long fibers with more twists so it results to informal texture. Unlike Saxony, it hides footprints and other marks easier. 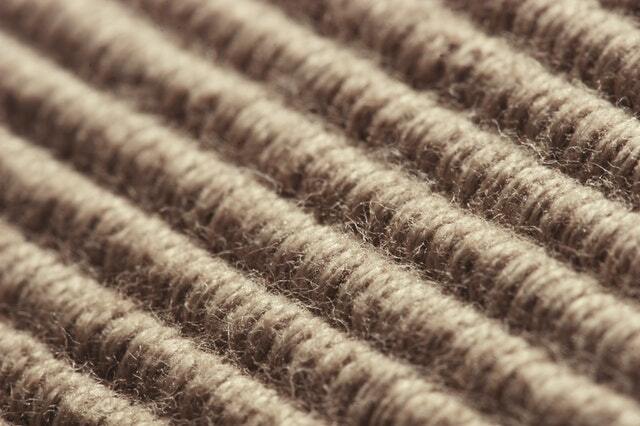 And lastly, Cable style is made with thicker and longer fibers, giving a cozier feel to the carpet when walked on. All carpets, be it Loop or Cut Pile, need proper maintenance in order to keep them clean and maximize their lifespan. Prevention is always better than cure so make sure to vacuum loose dirt daily as it becomes harder to remove if kept untidy. When vacuuming a loop pile carpet, use the cylinder cleaner with the suction head only. Be careful to not use a rotating brush as it will snag the loops and damage the carpet. On the other hand, the standard cut piles are the easiest of carpet styles to clean. When vacuuming, use an upright cleaner with beater bar and brush. You need it to allow the vacuum to deep clean down to the carpet backing. Setting the vacuum to the right height based on your carpet is also important to get dirt off the carpet.